A 2016 survey of Colorado teens found that 99% of teens ages 15-17 and 100% of teens ages 12- 14 did not misuse prescription pain killers or stimulants in the last month. Nevertheless, teen curiosity and access to prescription drugs have increased since 2013 . 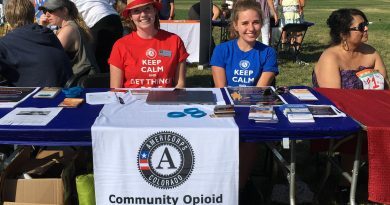 That is why, the Community Opioid Response Program led by the grant partner, Rise Above Colorado, has made it one of their priorities to educate Colorado’s youth (ages 12-17) about safe use of prescription drugs using the lesson, Not Prescribed. Not Prescribed is a classroom-based lesson empowering teens with the science and the stories to understand the risks of misusing prescription drugs and the skills to “rise above.” This science-based, interactive lesson strives to help students be advocates for their own health, as well as their peers’. Lessons feature facilitated discussion around: what are prescription drugs, proper use, the developing brain and the pressures that teens face, and risk and protective factors in healthy decision making. CORP members, Brody Montoya and Katie Lazar, of Central Colorado AHEC, have been teaching the Not Prescribed across the Denver metro area. They have partnered with several schools and extra-curricular programs to present the lesson in a variety of settings, such as the classroom, school assemblies, and health career programs. Surveys are issued before and after the lesson and have indicated an overall greater understanding of proper prescription medication use and risks associated with misuse. Students generally report an increased knowledge of how to talk to peers they fear are misusing prescription drugs, and feeling more comfortable in doing so. Rise Above is one of many valuable youth prevention resources in the area. I Thrive utilizes group therapy, experiential learning, and parent education to provide early intervention for teens struggling with drugs and alcohol abuse. 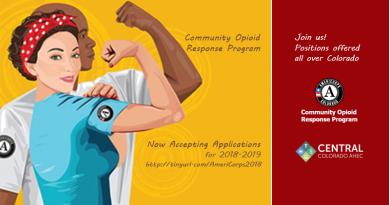 Aurora Substance Abuse Prevention Coalition (ASAP) focuses on prevention by providing healthy alternatives for youth and positive social norming campaigns. This lesson is available online and approved for use throughout the state. If you have any questions or would be interested in having the Not Prescribed lesson in your area, please contact us at katie@centralcoahec.org.